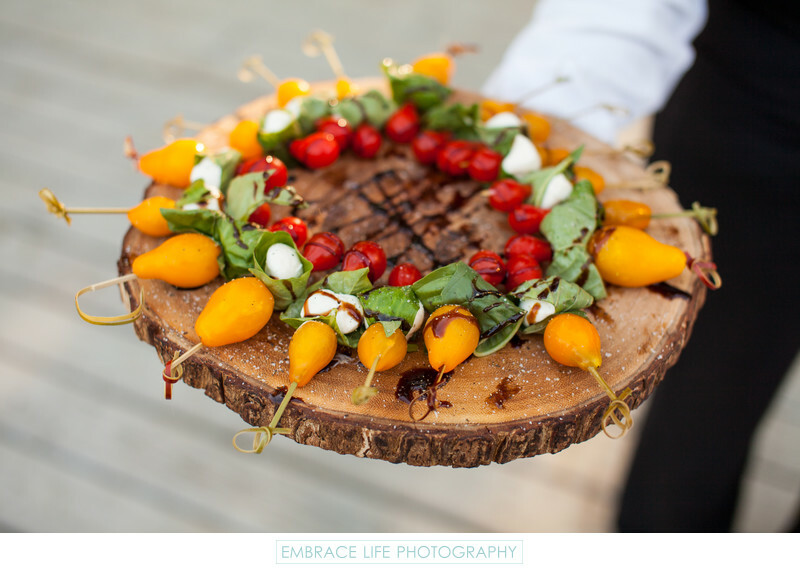 A caprese salad skewer appetizer at a Calamigos Ranch wedding is served on a tree branch cross-section serving tray that is perfectly suited for the rustic outdoor Malibu wedding venue. When photographing events, Santa Monica wedding photographer Embrace Life Photography's goal is to document the emotion, fun, peope and beautiful details including beautiful food presentations such as this. Keywords: Details (1125), Food and Drink (150), Wedding (1437).